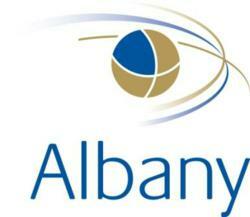 Albany Services, a leading HRO with a focus on contingent labor compliance and engagement, have been asked to share their expertise on issues surrounding Independent Contractor misclassification at the IHR’s Virtual Workshop on March 23rd. "While the basic rules and guidelines for classifying Independent Contractors have been in place for years, the level of risk for non-compliance has grown exponentially over the last few years and the legal framework continues to evolve"
Albany’s VP of Compliance and Client Services, Sue Ortiz, along with Jason Posel, SVP, Strategy and Solutions will be hosting an educational webinar titled ‘The Slippery Slope of Independent Contractor Misclassification’. The webinar is part of a 2 day virtual event that is the second in a series of workshops in the IHR Contract Workforce & Talent Exchange Certification Program. Attendees are not required to be enrolled in the certification program; however, the event is eligible for IHR, PHR, SPHR, and GPHR credits. “While the basic rules and guidelines for classifying Independent Contractors have been in place for years, the level of risk for non-compliance has grown exponentially over the last few years and the legal framework continues to evolve,” said Posel. “Claiming a tax gap of billions of dollars, federal and state agencies, led by the IRS, are pursuing corporations who might be misclassifying workers more aggressively than ever, so companies need to understand how best to protect themselves from the risks involved in this critical workforce component”. IHR’s certification and accreditation process is developed through an independent Advisory Board composed of industry experts including Albany President, Renee Fink. To register to attend this webinar click here. With Albany's contractor management solutions, companies can more efficiently and cost-effectively engage, pay and manage the talent they need while mitigating the risks associated with contingent workers. With 17 years of experience our contractor management and payroll programs include: Employer of Record (Albany hires your pre-identified contractors as our own W-2 employees); Agent of Record services (billing and payment consolidation for Independent Contractors); and the most comprehensive Independent Contractor Compliance program available.